Have you ever had really exciting news you wanted to share with a friend…maybe you were planning on asking the girl you love to marry you, or you just got a big promotion at work? Then when you tell your friend, they say congratulations and that they are incredibly happy for you—except they don’t have a smile on their face, their voice has remained rather monotone, and their arms are crossed in front of them? All these factors that make up our non-verbal communication have suggested to you that your friend is not as happy for you as he’s saying. As much as we focus on what to say, how we say it is just as important. Body language can sometimes betray our feelings or even give others the wrong impression about what we’re thinking. This is particularly important to understand when it comes to job interviews where most of us become anxious, stiff and stressed about saying and doing the right things. On the other hand, when someone has positive body language, it makes us feel relaxed, comfortable and confident in that person. Most employers don’t just want a candidate to have the perfect, textbook interview answers with no emotion or personality; they want to find someone who will benefit their company and also fit into their corporate culture and get along well with other staff. Even if you don’t have the perfect answer to every interview question, having positive body language can help your overall performance in the job interview. Eye Contact: If you’re busy looking around the room as the interviewer is talking, you’ll likely give off the impression that you’re bored and not interested in what they’re saying. Unless you’re actually not interested in the position, this will be bad news for your interview. It’s important to stay attentive and demonstrate that you’re listening by keeping good eye contact with your interviewers. Posture: Slouching can suggest laziness, boredom or lack of confidence. In order to appear professional, attentive and confident in yourself, maintain good posture from the time you walk through the front door until you leave. Gestures: Most people use slight hand movements and gestures while speaking so it’s good to display appropriate gestures during your interview. 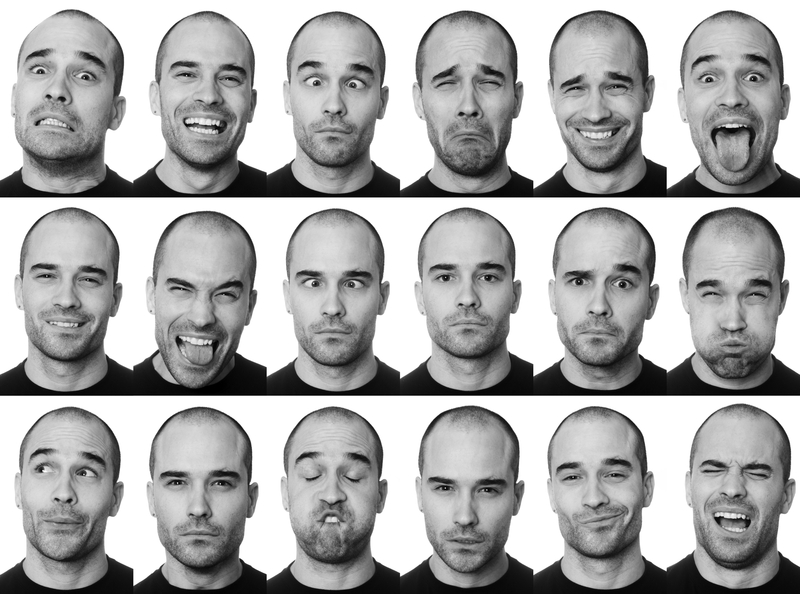 Your facial expressions should also match what you’re talking about or what you’re listening to. You don’t want to look like an emotionless zombie sitting in the interview. Tone of Voice: Your tone of voice is a great chance for you to show your energy and enthusiasm for the position and confidence in your abilities. Tone of voice helps to convey the emotion behind your words and can send the right message to employers. Fun Fact: I once read a study showing that you tend to think more positively about someone who displays similar body language, posture and gestures as you do. If you slightly imitate your interviewer’s posture or body language during the interview, this may help to create a positive image. An interview is an opportunity for two people to get to know each other and for you to make a positive impression, so remember to put your best foot forward and fully engage with the interviewer. This means communicating not only with words, but with your body language as well. Remember, it’s not only what you say, but how you say it. Nice article..Very impressive to know about the body languages along with your interview presentation..